Since data centers first began operations locally, the City of Prineville has been collecting electrical franchise fees. The new revenue stream was modest at first but quickly gained momentum as annual collections first eclipsed the $100,000 mark and continued climbing at a steep rate in the years that followed. This year, for the first time, the fees are expected to reach a significant milestone. Estimated property tax collections for the 2019 fiscal year are approximately $2.1 million. Franchise fees are expected to bring in $2.4 million. Franchise fees are paid to cities when utilities and other industries use city property to distribute their services, explained ShanRae Hawkins, the city's public relations representative. Cities are permitted by law to collect the fees for the use of public property. Property taxes have not historically been the lead revenue source for the city, making up just 4 percent of the total city budget, so the additional revenue from the franchise fees, comprising about 6 percent of the budget, have been a big help in funding a variety of city services. Public safety is the greatest beneficiary, with a roughly $4.7 million budget. Hawkins points out that city officials place a premium on ensuring citizens have a safe city to live and work in, but "unfortunately, providing a high level of public safety does not come cheap." Franchise fees have enabled the city to hire two new law enforcement officers this fiscal year, one of which was partially funded by the Crook County School District. Hawkins points out that the hires return police staffing to pre-recession levels. The fees have also helped the police department pay for upgrades to six police vehicles, reducing maintenance costs for the agency. "In the public safety arena, other communities are looking at fees to support bringing on additional bodies to the police force. (Franchise fees) are preventing us from having to do that as our community grows and the need for more public safety services increase," said City Manager Steve Forrester. Transportation and street improvement efforts have gotten a boost from franchise fee revenue as well. City officials were able to budget $400,000 for the street department, enabling the repair of many local roads this summer. Street Supervisor Scott Smith said the department completed more projects this summer than in any other season of his more than 20-year career with the city. Hawkins notes that the street department strives to maintain a strong pavement condition index, and the infusion of franchise fees has been able to pursue a PCI goal of 82 to 85 out of 100 without leaning on a gas tax. Community enhancements and recreation opportunities have been made possible in part by the boom in franchise fees. Not only did they help enable the city to purchase 460 acres of Barnes Butte area property, they have contributed to the $1.1 million the city has provided to multiple community projects. Most noteworthy is the Crook County Jail, to which the city contributed $1 million in city infrastructure. Other contributions include $80,000 to a Kiwanis Club of Prineville-led splash park, $13,000 to the Crook County Fairgrounds, and $5,000 to a community pool survey. Franchise fees have also enabled the city to commit $150,000 toward airport operations and $101,000 to fund street lights and their operation without implementing a new street fee. "The fees are being used to keep the city in a strong financial position," Hawkins points out. 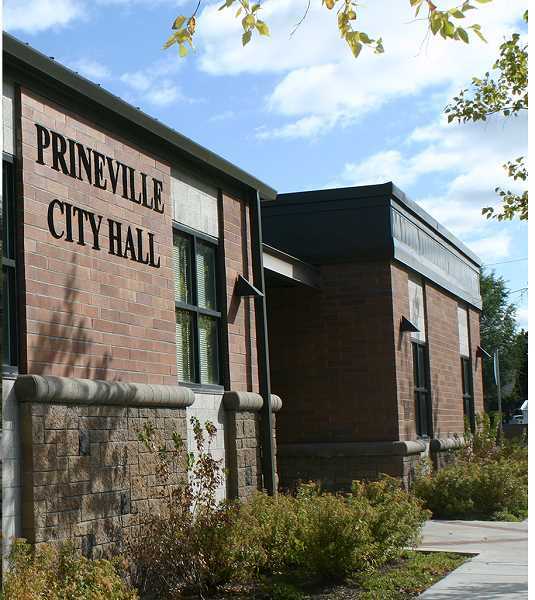 "Without the incremental growth of the franchise fees, the city would be faced with going to taxpayers for bonds, gas taxes, and street and public safety fees, as has occurred with Prineville's neighboring communities." Going forward, the franchise fee collections are expected to help position the city for providing city services in future years, especially in the event of an economic downturn. City Finance Director Liz Schuette points out that the additional revenue has allowed the city to strengthen its fund balances, meet city reserves policies and decrease debt. "It has really stabilized our general fund and ability to give the community the services that they need," she said.